Brace yourselves- this frosting is life changing! Well, maybe not life changing…but it could make you famous (that’s probably a lie too). 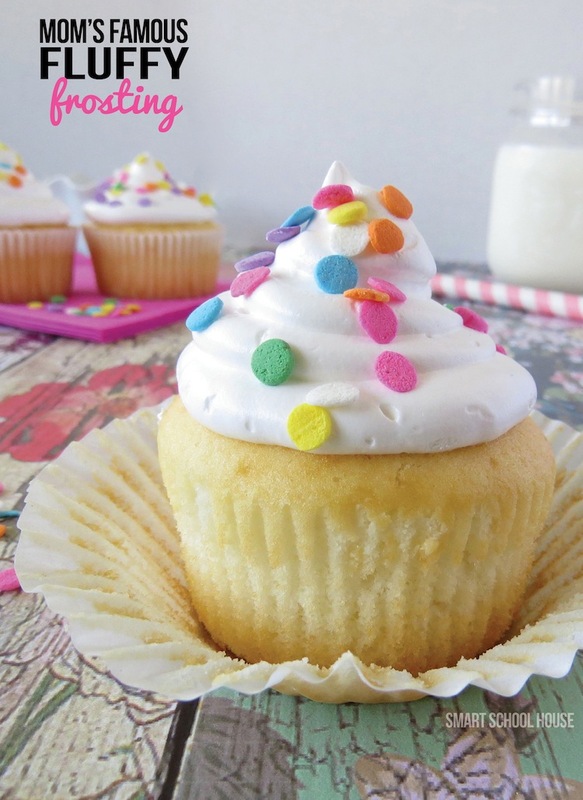 However, this fluffy frosting recipe WILL make your family jump for joy! It’s fluffy, it’s bouncy, it’s soft, and it’s incredibly fun to eat. The ingredients are pretty simple and the process isn’t too difficult, which makes it perfect for our busy home. You’re going to love this! I would like to pin this but can’t find it on your pinterest and can’t pin it from here. Boy, this brings back memories…..only it was called “Boiled Frosting” in the 50’s….